what I wore on this oh so exciting night. 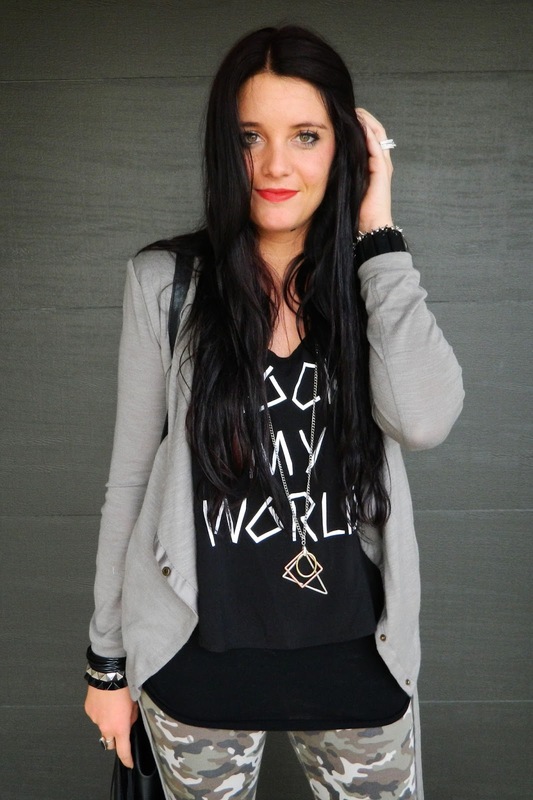 Here is outfit one of my retail therapy session. 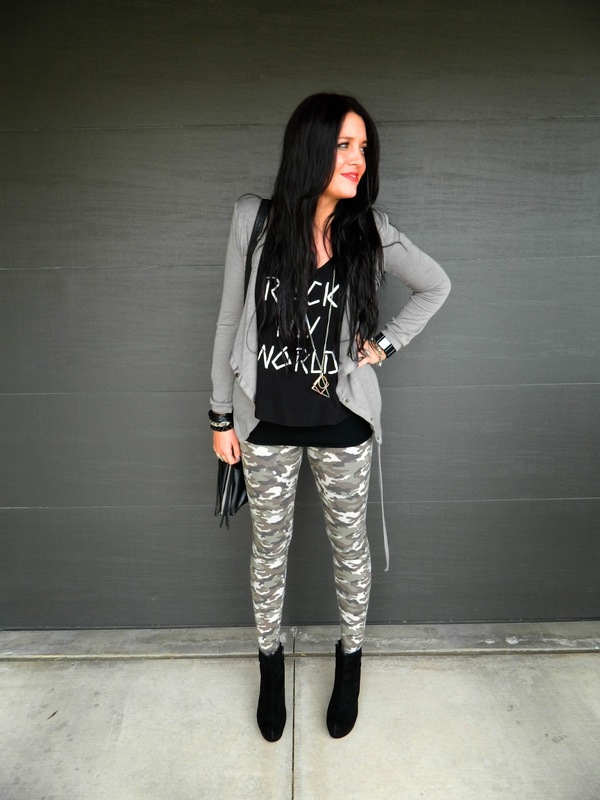 I have been in search mode looking for camo leggings and I found them. THANK YOU Forever 21. I was very excited. 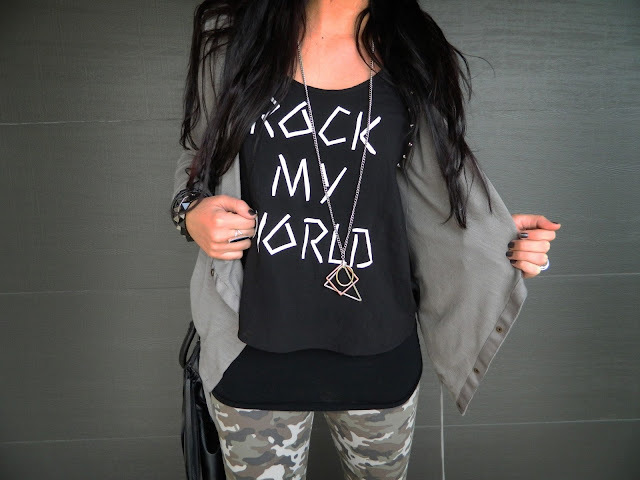 I also fell in love with this "Rock My World" tank. I originally bought this outfit for the Mackelmore concert this weekend, with full intensions of wearing this outfit to the concert. Well minus the 4 inch wedges. 3 comments on "what I wore on this oh so exciting night."